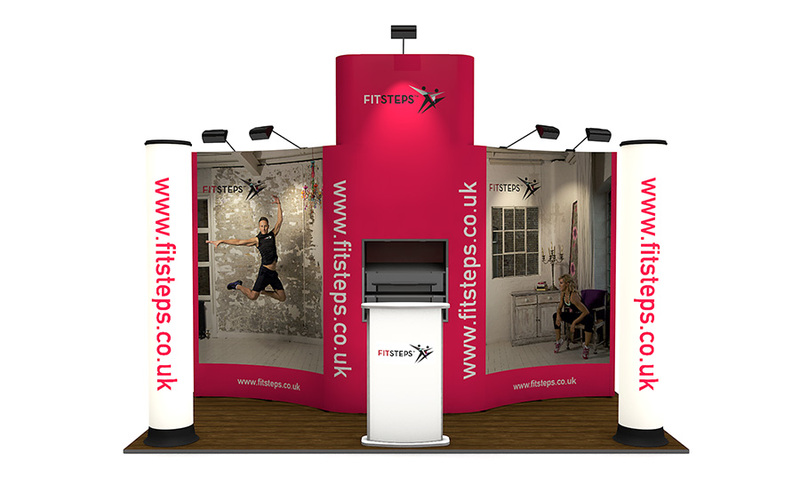 The overall look of your exhibition stand can make or break the success of the event. Creating the wow factor is a vital part of creating those all important, strong first impressions. Poor visuals on your exhibition stand can be the deciding factor on whether visitors approach your stand, or walk straight past it. First impressions really do count so it’s important to make a good one, to avoid losing those potential customers to competitors. Exhibiting can be an expensive cost to any business, whether you’re a regular exhibitor or a beginner, the initial investment always takes a chunk out of the marketing budget. For any business, the main goal is to see a return on their investment, with this in mind it's important you plan precisely and take all factors into account that could affect that return. 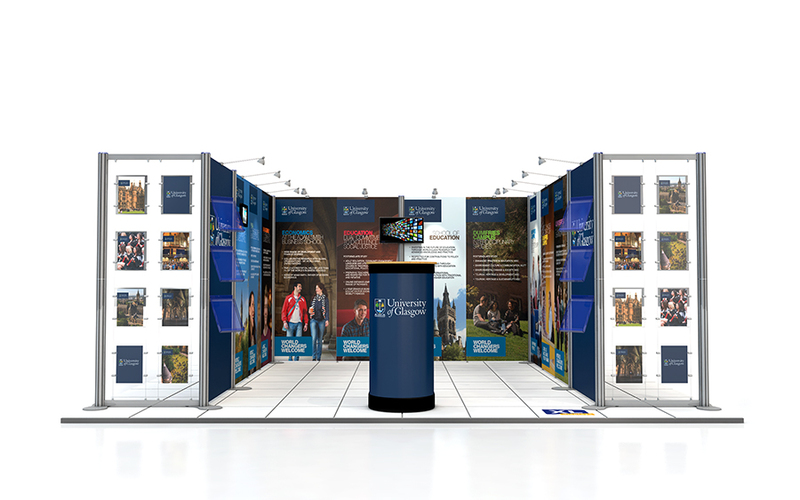 Here are some simple tips that will help deliver a clear, professional and winning exhibition stand to your audience. Your audience will be walking past rows and rows of exhibition stands so it’s important that when approaching your stand, they are faced with an approachable and easy to understand design. Don’t overload the stand, keep your layout and design simple and clear. If your stand is cluttered and the message is too ambiguous then visitors may avoid your stand. Remember, less is more! If you are unsure of the type of exhibition stand display that best suits your needs, talk to us. It is important that your display solution is effective, fit for purpose, versatile and flexible. We can help you choose the right display solution for your exhibition needs. Portable display solutions such as pop up displays, roller banners and printed tablecloths, offer some of the most versatile and cost-effective display options on the market. Available in a wide range of sizes and configurations that are quick and easy to assemble, disassemble, transport and store. Our modular exhibition stand range includes versatile event solutions that can grow alongside your business and marketing needs. Systems such as Centro modular displays, Twist flexible exhibition stands and printed shell scheme panels can be added too as required without the need for purchasing a complete new kit. 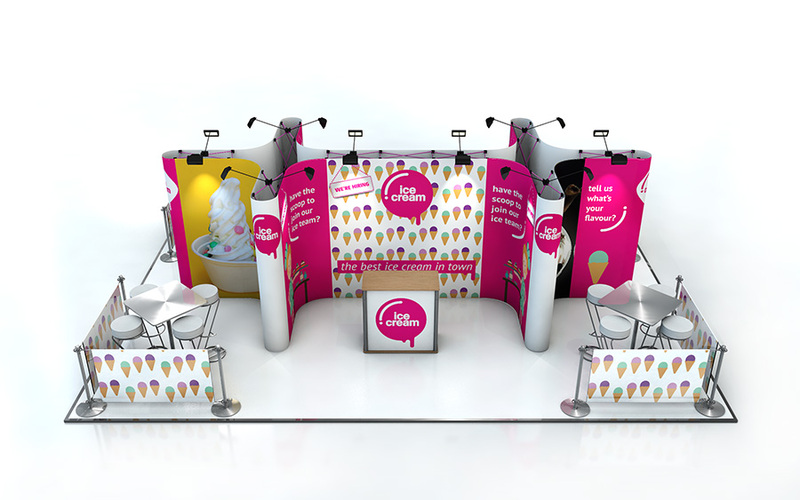 Bespoke exhibition stands are completely unique to you. Simply give us a detailed brief and your ideas and our design experts will do the rest. Check, check and then check again. Ensure all spelling, punctuation and grammar is perfect and all text makes sense. Any mistakes could cost your business customers as they will make you look incompetent and unprofessional. Take advantage of the maximum height allowance for your exhibition venue. Most exhibition venues allow up to 4m high for each exhibition stand, with some also allowing hanging structures to be suspended from the ceiling. The more height you have, the more you will be noticed. Hanging structures allow you to be seen above the competition, even from across the exhibition hall. It’s the perfect event branding solution. Always add lighting where possible. Lighting helps to highlight your brand and marketing message and guarantees extra visibility. Exhibition halls can be dark and lack adequate lighting so make sure you add lighting to your stand design. Make sure your marketing message is located within the top third of your exhibition stand. Your message needs to be clear and easy to read. Placing your marketing message in the bottom section may result in your message being missed. Use large imagery, but make sure they are high resolution. Keep the imagery relevant to your brand and your message. Never use low-resolution images as when printed in a large format, they will become grainy, pixelated and look unprofessional. Keep every aspect of your exhibition stand uniformed and in line with your corporate branding. Strong branding is often the most memorable. Keep your stand design, literature and giveaways looking similar so each item represents your brand image. Take your website design into consideration. The first thing people will do after the event is view your website and if it looks completely different to your exhibition branding, then the connection between your online portal and your exhibition stand will be lost. Add interesting video content to your exhibition stand. This is a great way of engaging with visitors. It gives you the chance to offer interesting information about your business without lots of expensive marketing literature. 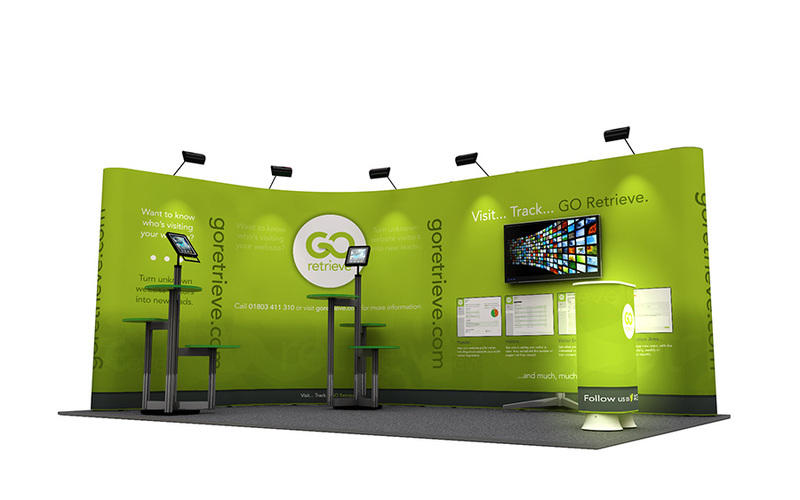 Get interactive by adding touchscreen technology to your exhibition stand. With the clever use of iPad stands you can provide visitors with access to a wide range of interesting data such as videos, images, websites and much more. Don’t overdo it with words. With the clever use of imagery and short snappy messages, your graphic design will have the impact needed to attract visitors. Be sure to get a clear message across but if you can deliver the same message with fewer words, it’ll be more effective. Use large fonts so they can be seen from a distance and remember a picture is worth a thousand words! If graphic design isn’t your forte make sure you get help from a professional company who knows their stuff. Graphic design is not something you want to do half-heartedly. The graphics on your exhibition stand is what delivers your brand and markets your message, so make sure it represents your brand in a positive and professional way. There are several things that all exhibition graphics should include. Always add your logo, it’s your brand identity. Without it, people won’t recognise your brand. Your message, header or strapline should be a prominent part of your design. This is what you plan to deliver or have to offer. Without this, people won’t know what you do. Contact details is an obvious one but an absolute must. People need to know how to contact you when they have left the show. Striking imagery will always attract attention so make sure you choose the images you use carefully. For more information about our exhibition stands or our graphic design service please contact us or call us on 01733 511030.